Orphen's old partner. Stephanie used to be a sorcerer named Stephan until he was mortally injured in a battle and had to use all of his remaining power to heal himself. During the healing process, Stephan made some other changes and is now Stephanie. Now she works as an archaeologist deciphering runes of the 'deities' (called the Nornir or "The Heavenly Ones") that fought against the sorcerers years ago. She is first introduced in the series when the group goes to Alenhatan, and her familiarity with Orphen makes Cleao jealous at first. 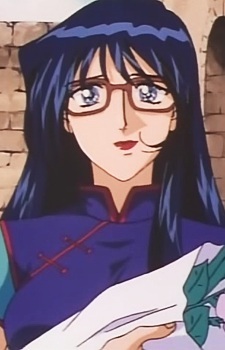 She still lives in Alenhatan and has a boyfriend named Tim (who she eventually marries) but is often seen helping Orphen and the others when they need someone who knows how to read and use the Nornir language/symbols.